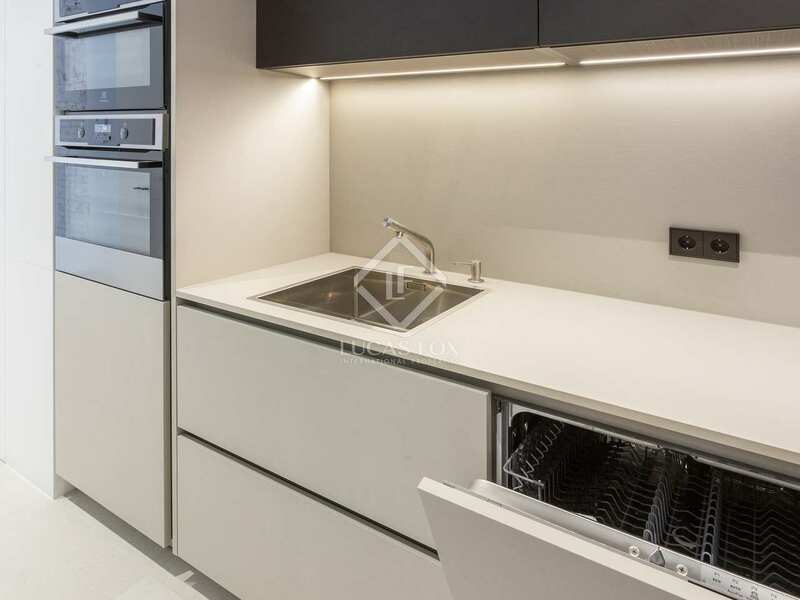 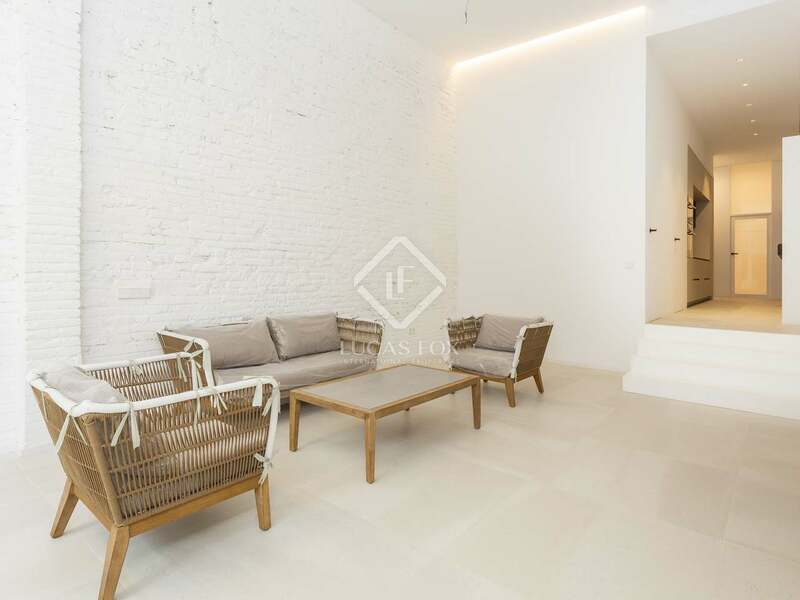 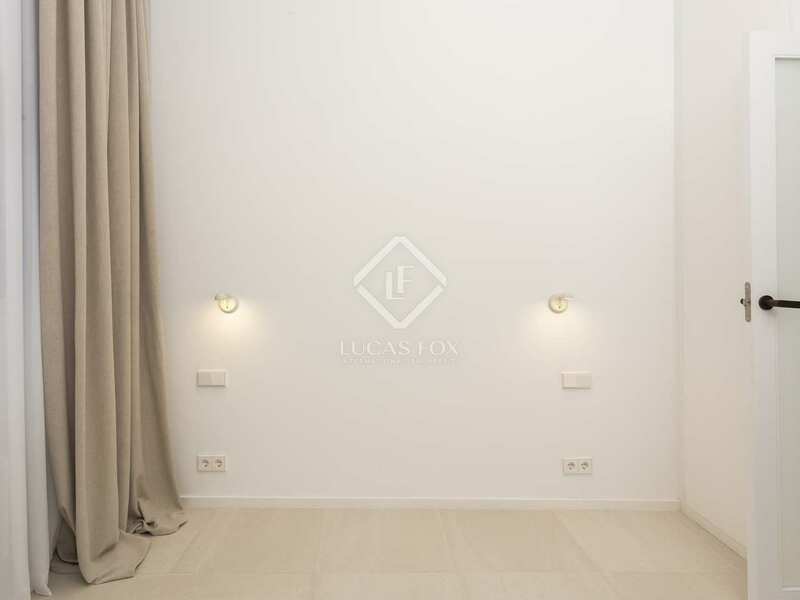 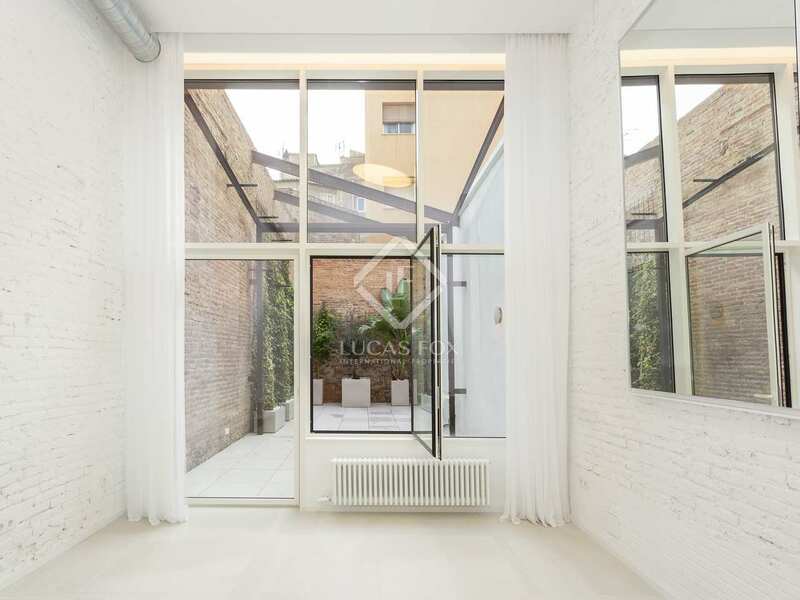 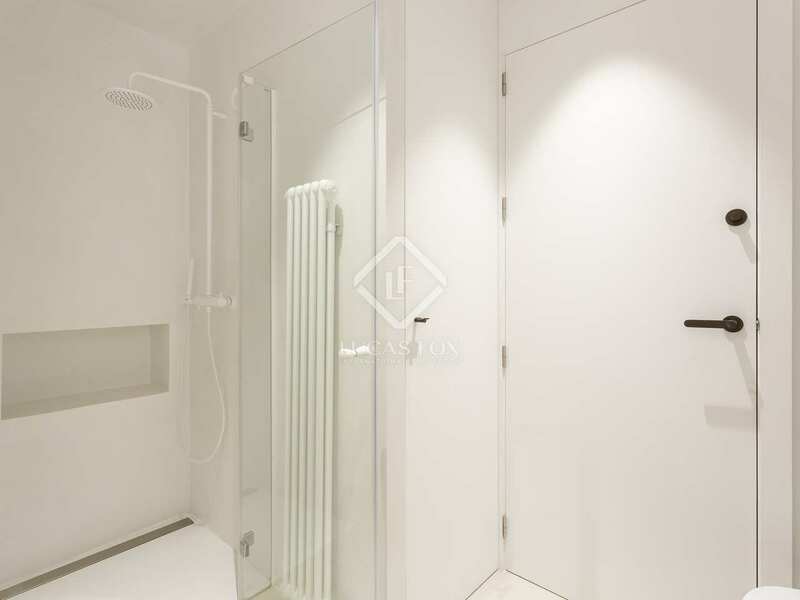 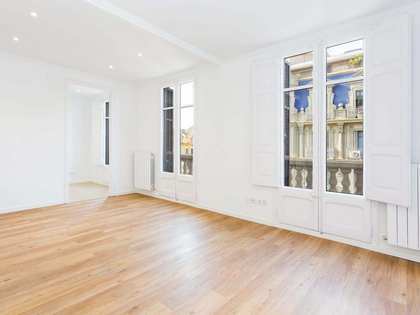 Sunny, spacious apartment for sale in a completely renovated building on a very quiet street between the Sants and Les Corts neighbourhoods, very close to Sants train station. 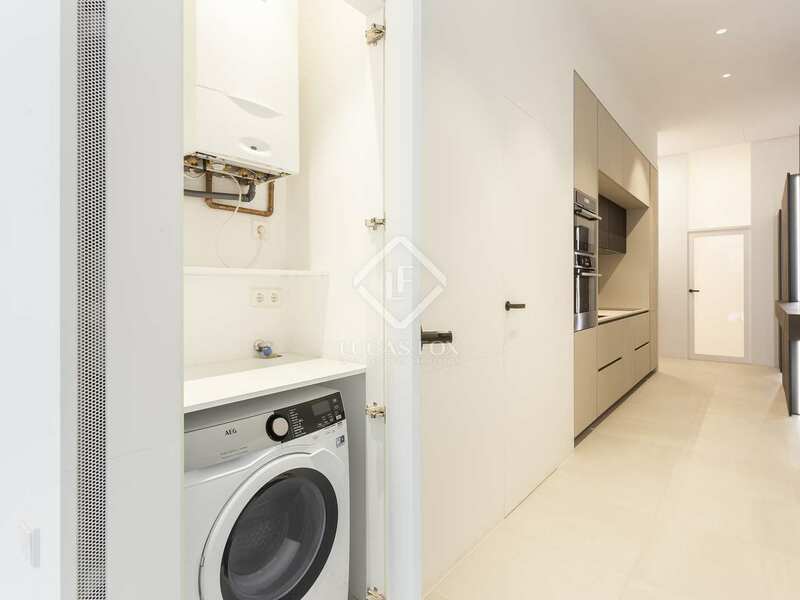 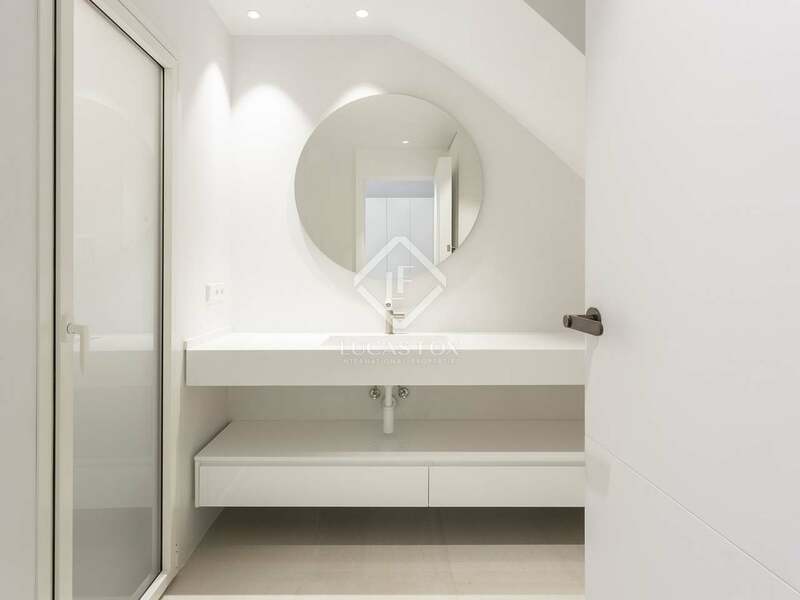 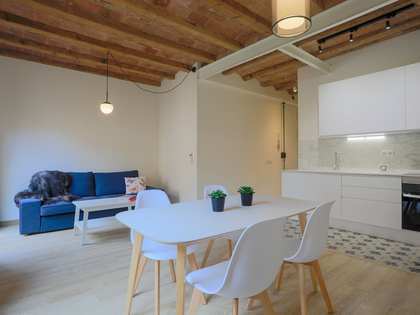 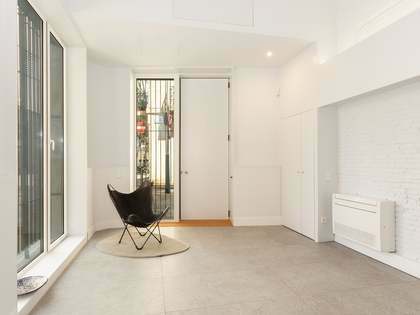 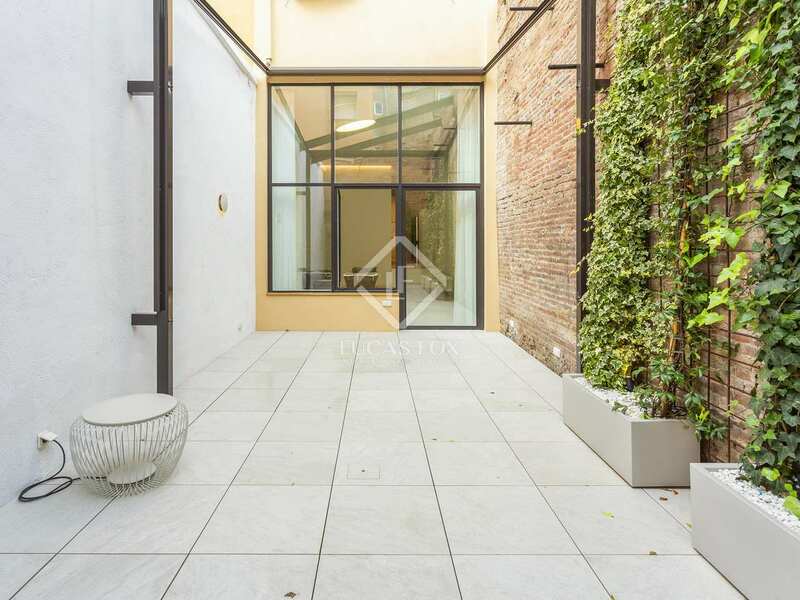 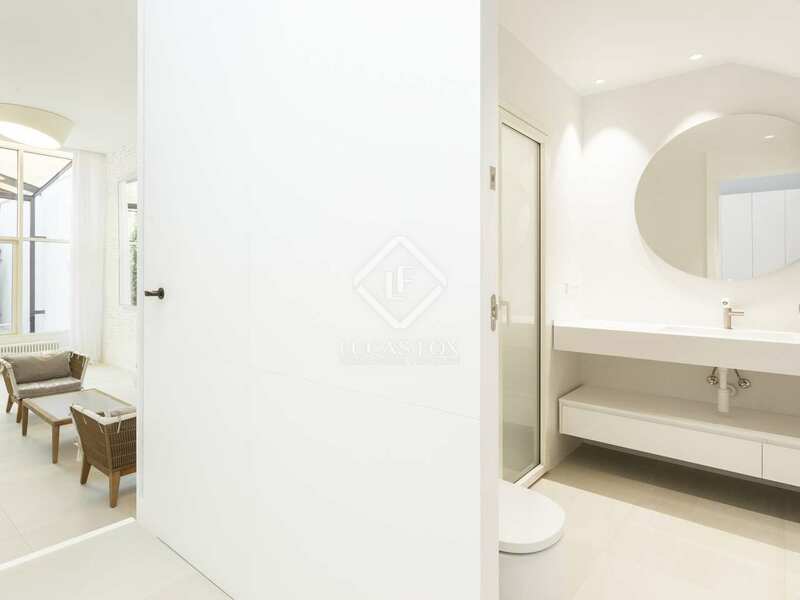 Excellent renovated apartment of 110 m² with a very sunny and quiet terrace of more than 50 m², located in a fully renovated building with 3 neighbours on a very quiet street in an up-and-coming Barcelona neighbourhood. 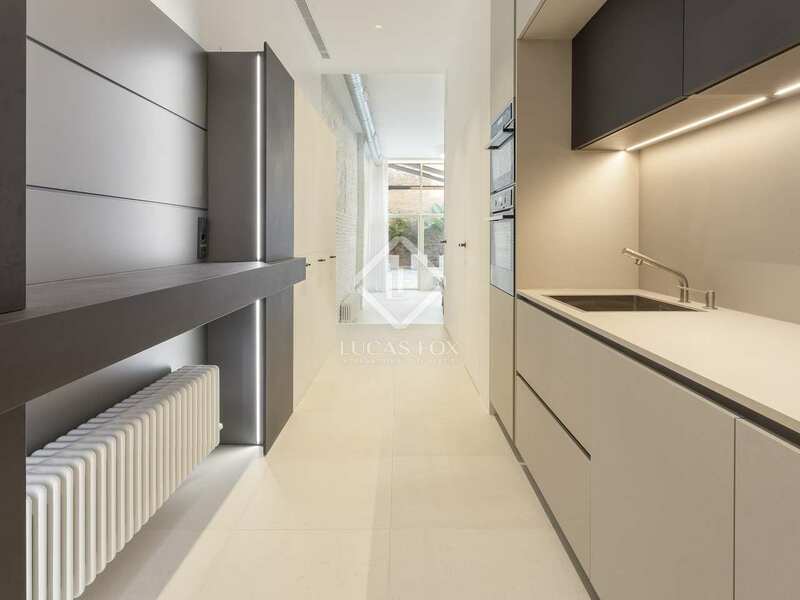 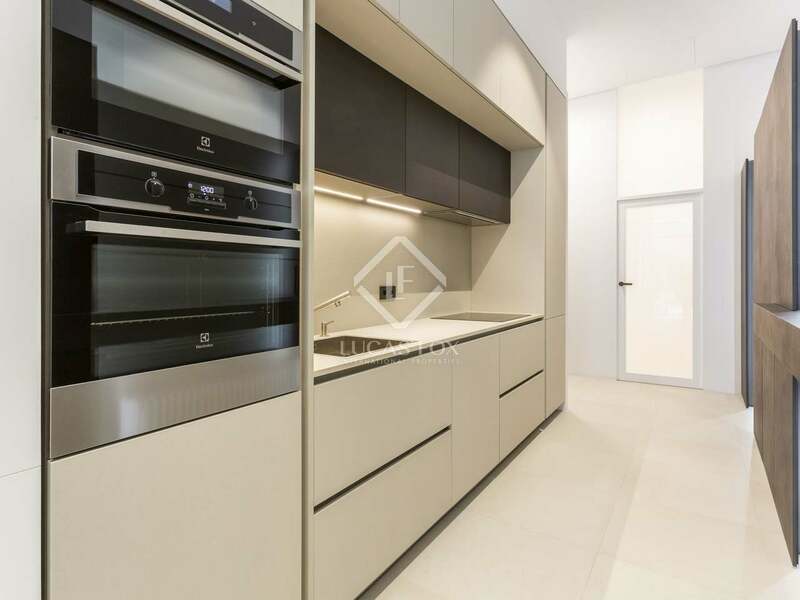 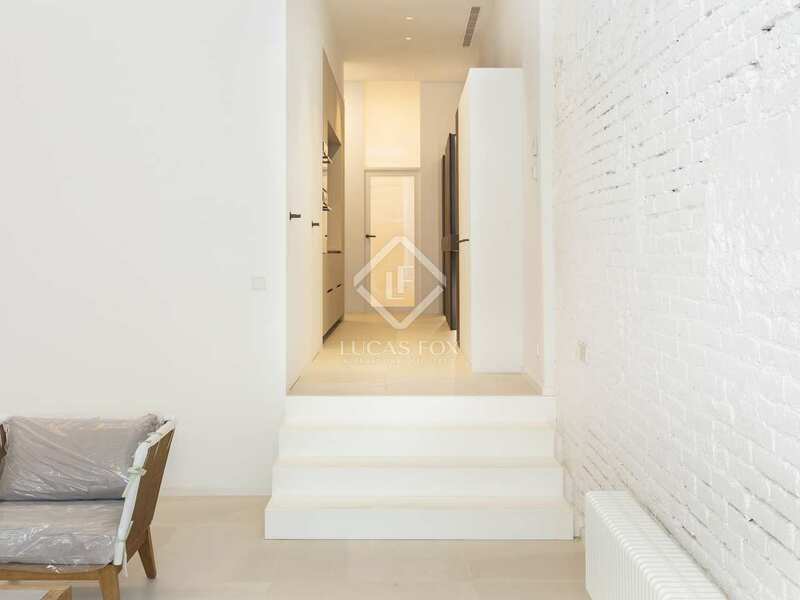 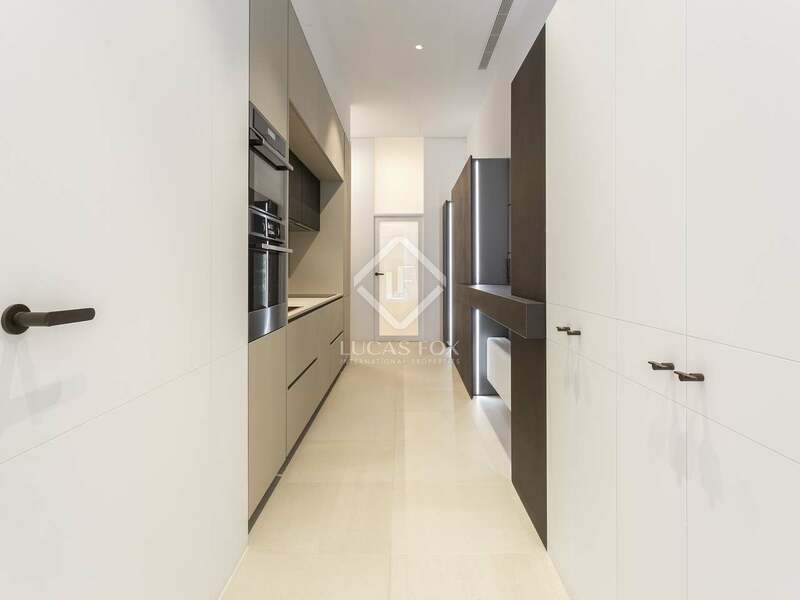 This beautiful loft apartment has been completely renovated in 2018 with quality finishes and is presented in perfect move-in condition. 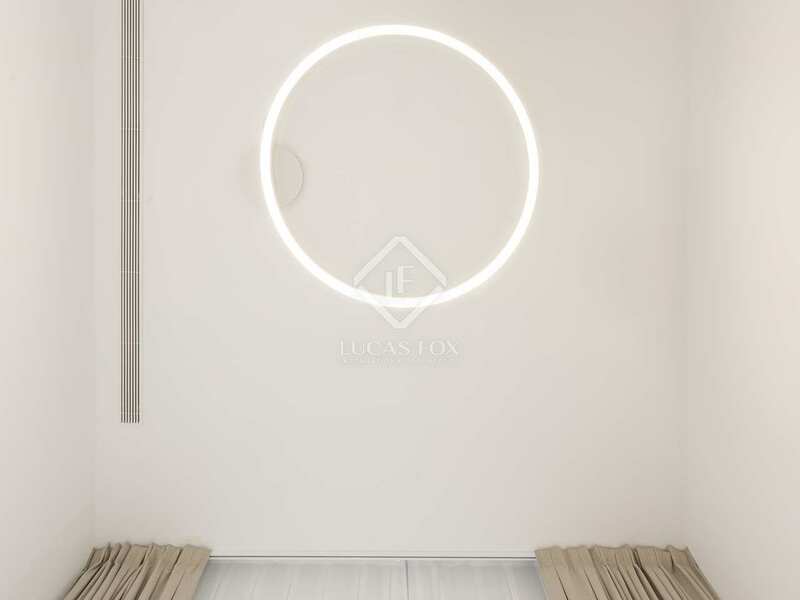 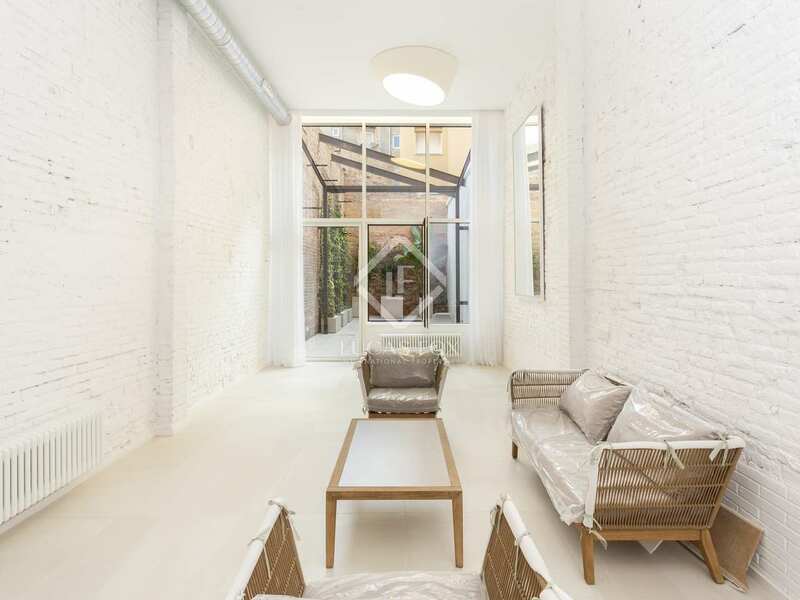 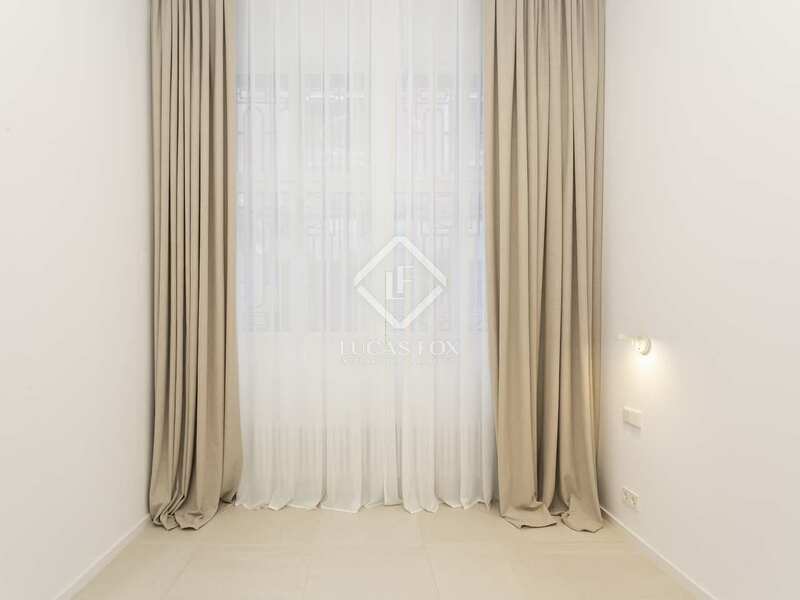 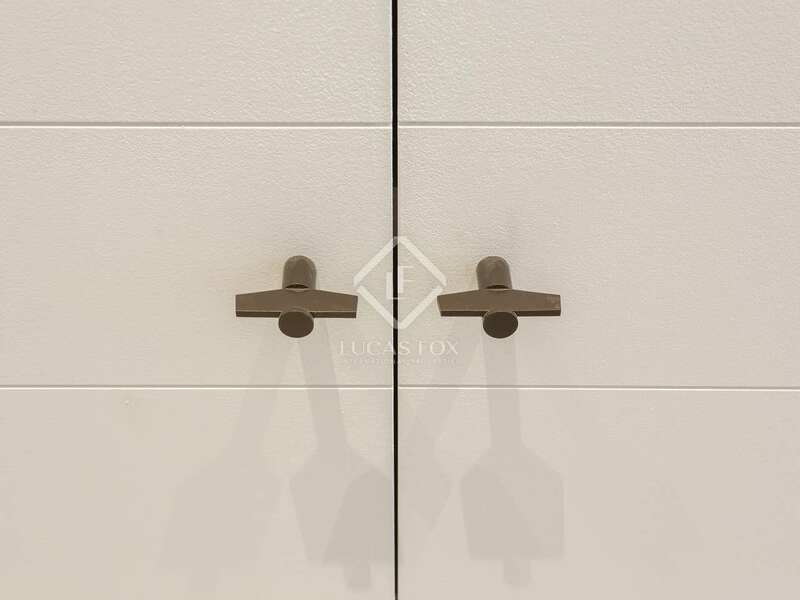 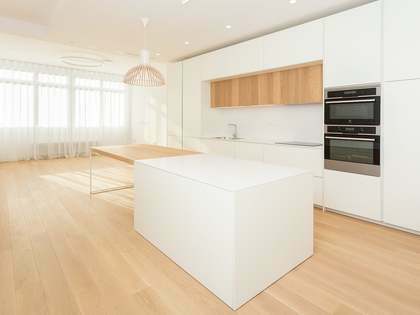 The colour white is the common theme throughout the property, which creates airy, clean and bright spaces that, together with the characteristic high ceilings of the old building, give it a great sense of spaciousness. 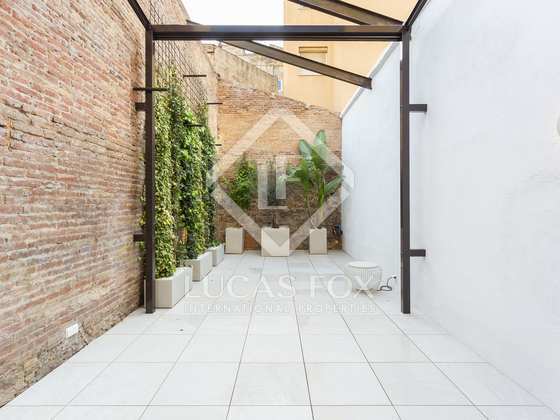 The property consists of a large living room with a kitchen, a double bedroom and a bathroom, in addition to the fantastic terrace. 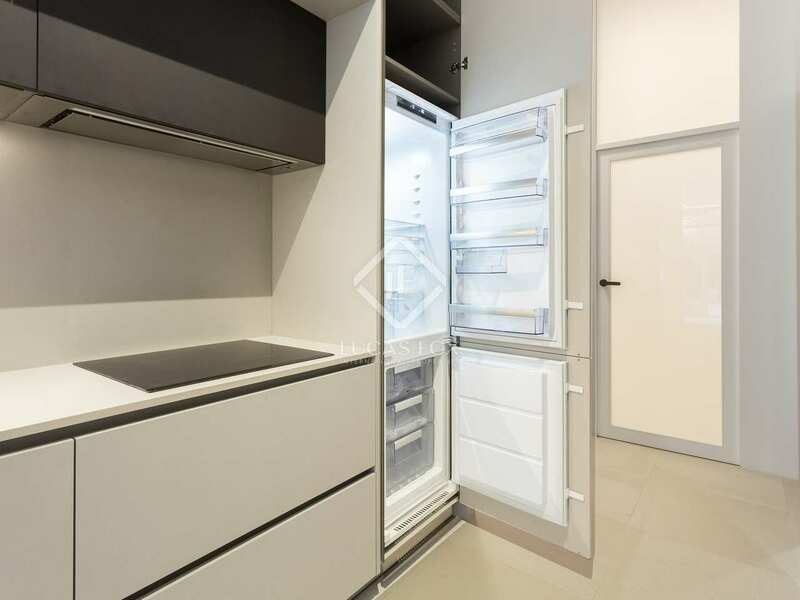 The finishes are of high quality and the kitchen is fully equipped with a fridge, freezer, oven, microwave and dishwasher. 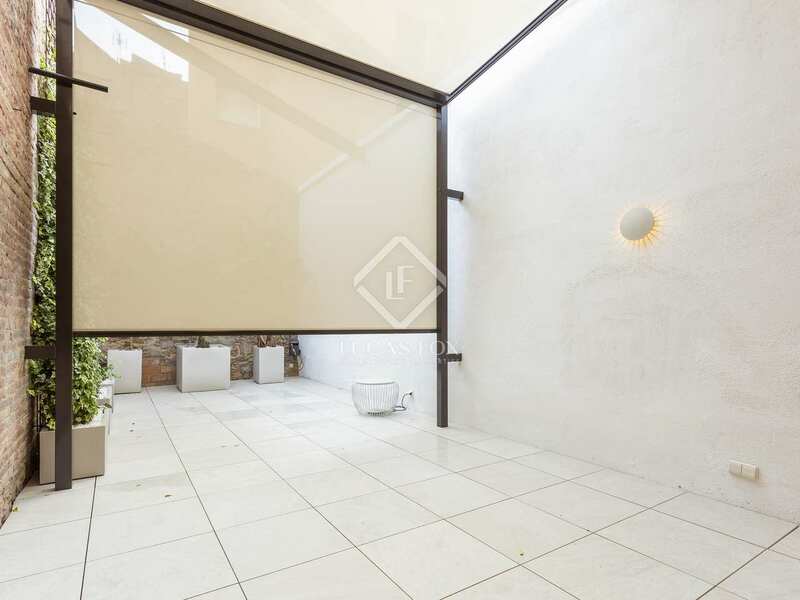 Apart from this, it has a space for laundry with a washing machine and dryer. 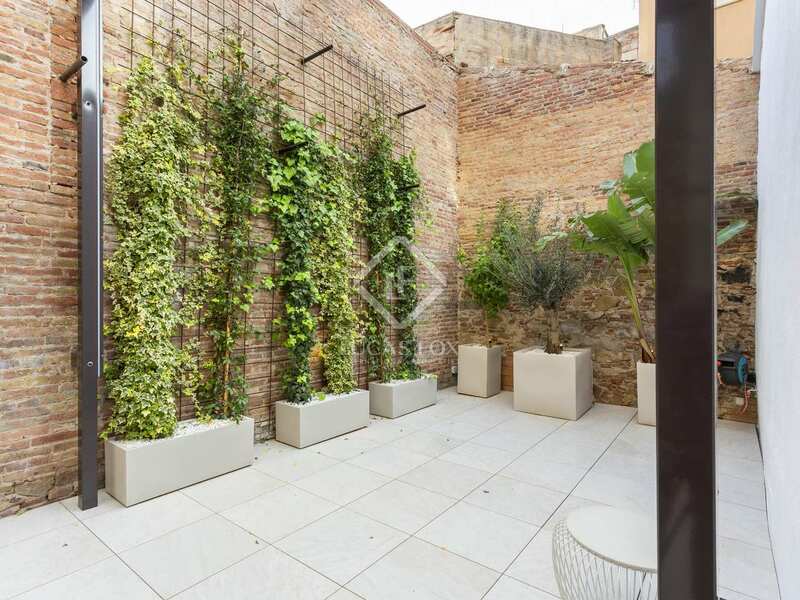 The external enclosures are Technal aluminum joinery with acoustic and thermal insulating glass to improve its high performance. 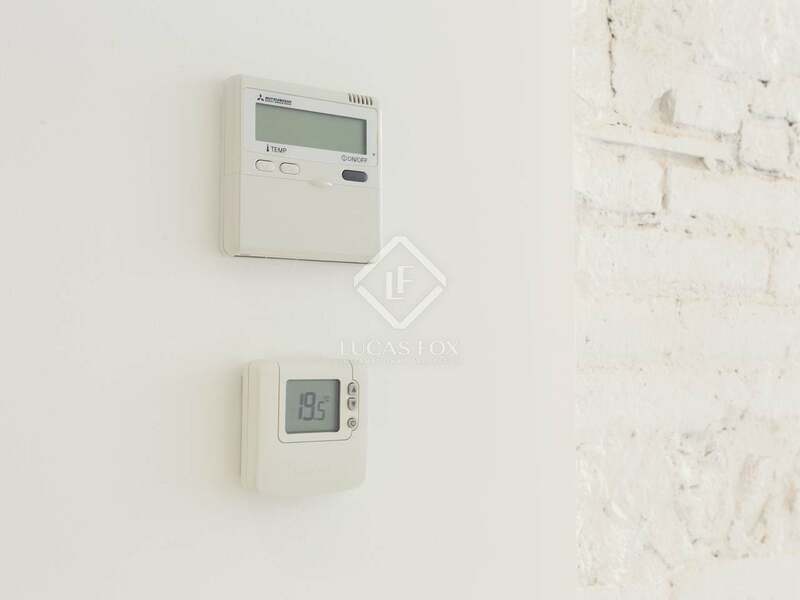 It has Mitsubishi air-conditioning with ducts and Irsap gas radiators have been installed. 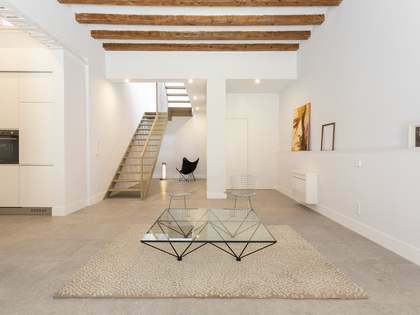 The floors are made of natural wood, also in white. 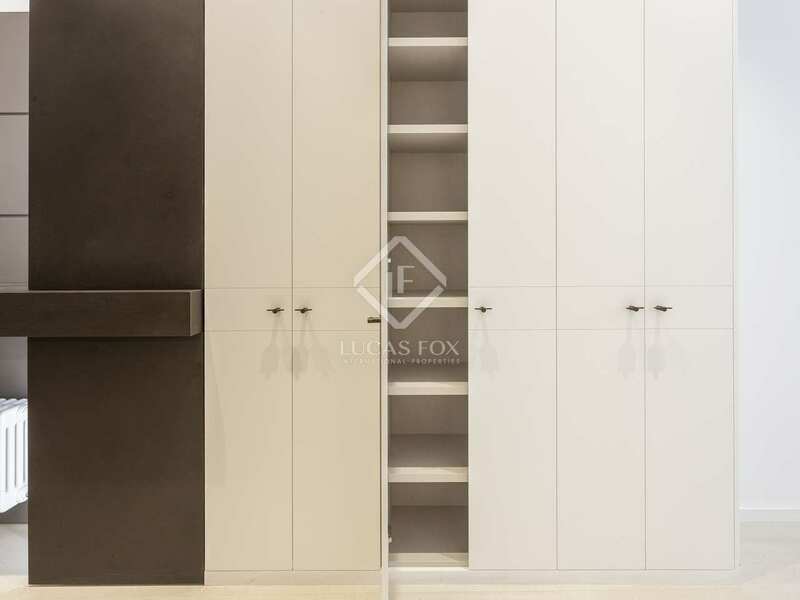 What's more, the apartment is delivered with custom-made wardrobes in the bedroom, bookshelf, curtains and lighting. 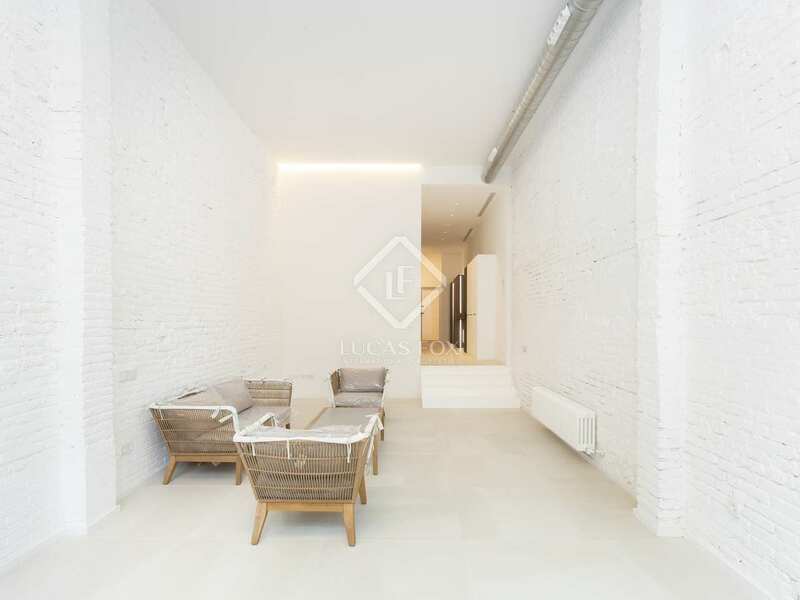 This apartment, which has a certificate of occupancy and is sold unfurnished, would be perfect as a first or second residence. 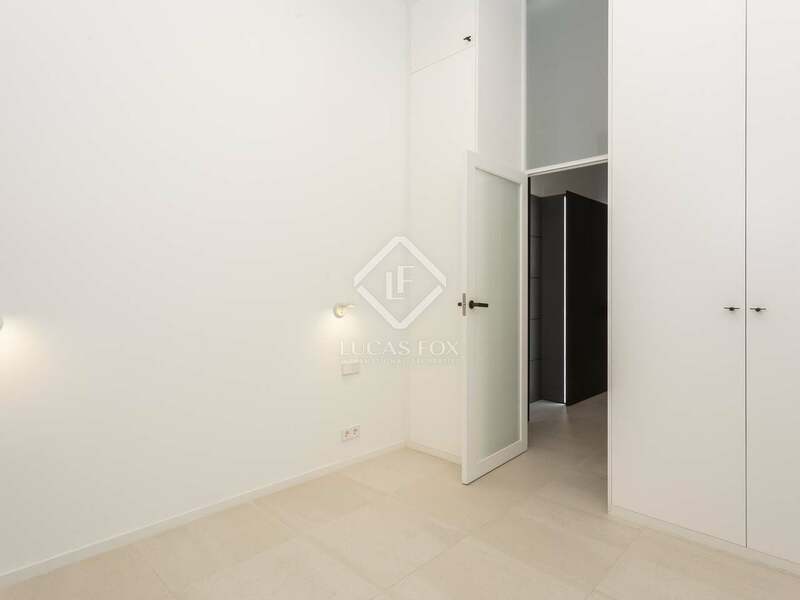 In addition, as it is located in a booming area, it can also be considered an sound investment. 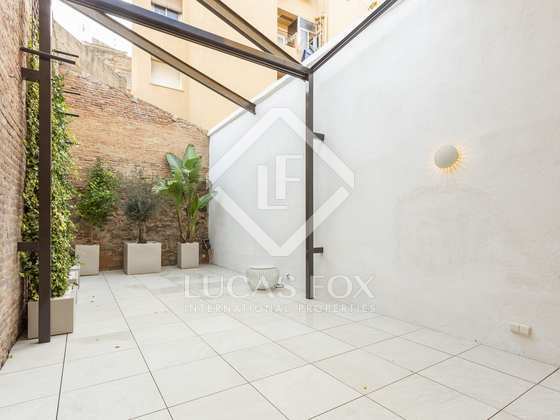 This apartment is located in a an up-and-coming Barcelona neighbourhood, between Sants and Les Corts and very close to Sants station. 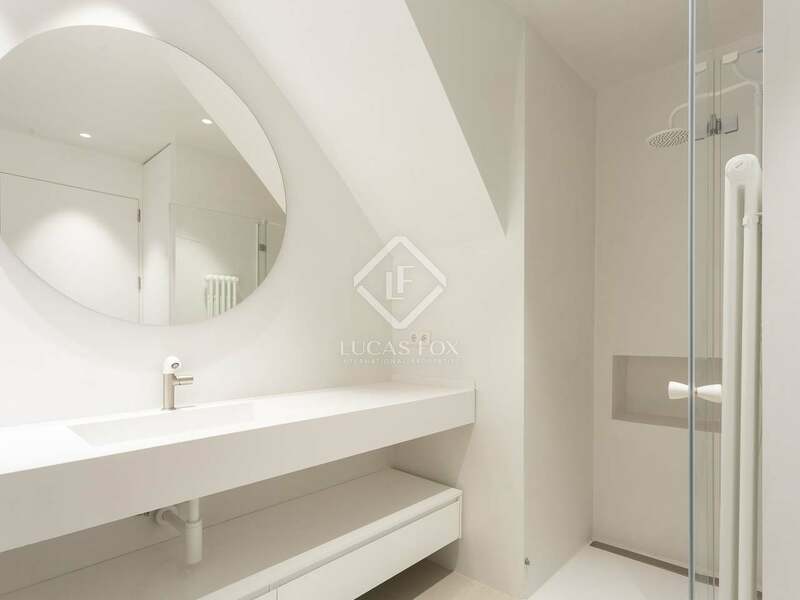 The area is very well connected by public transport with the entire city and the airport, and also offers a large number of services.